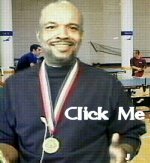 We want to teach table tennis to underprivileged youth. This takes operating capital. We solicit your help. We are recommending 4 levels of sponsors. Your name & photo and business will be displayed on our web site with a one page link advertising your business. Lifetime Sponsor $1000.00 Your name & photo and business will be displayed on our web site with a one page link advertising your business. A Free 1 minute video clip about your business.